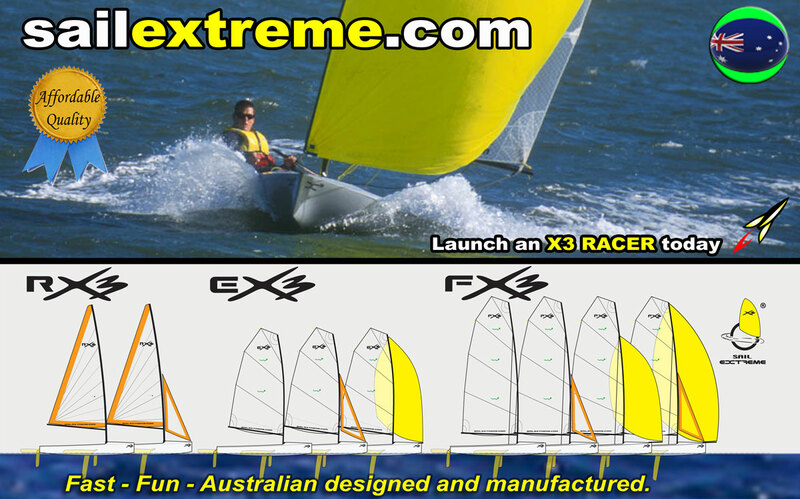 The award winning X3 sailing dinghy - Easy to Sail, Affordable, Quality and Fun!! 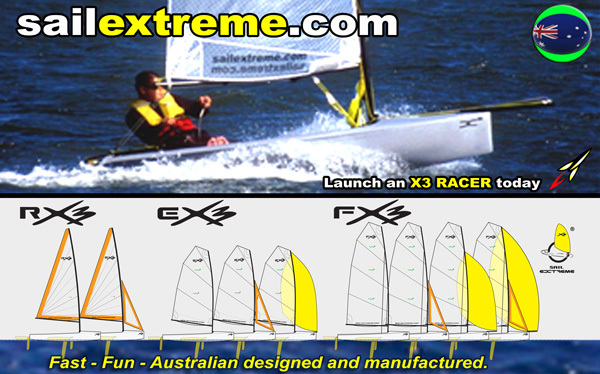 The Award winning X3 sailing dinghy from Sail Extreme is designed for beginners to advanced level sailing. 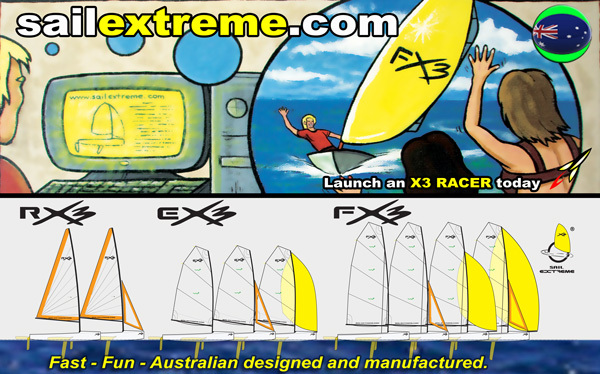 Australian made, the X3 sailing dinghy has a range of sail plan options to suit individual, family and sailing club needs; giving everyone the opportunity to go sailing. The X3 sailing dinghy is affordable, fast, fun and very stable; it is also quick to rig, very easy to sail, and low maintenance. Experience nature out on the water first hand, with the Award winning X3 sailing dinghy. Excite the Nippers, and go sailing. Being out on the water is fun and exciting. 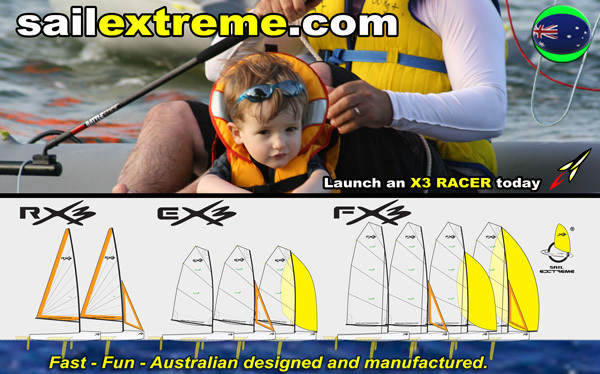 The X3 sailing dinghy is a great family FUN machine. Excite your mind and body. Sail across a bay and explore, or go racing. Sailing an X3 sailing dinghy is easy and fun !! !